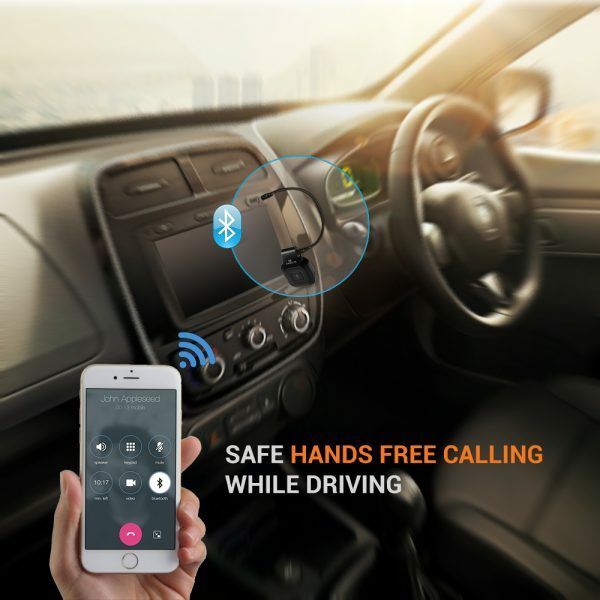 Amkette Bluetooth Adapter for Car and Home Stereo is an adaptor which transforms your basic car stereo into a wireless one and lets you enjoy calls and music hands free. Amkette Bluetooth Adapter for Car and Home Stereo is an adaptor which transforms your basic car stereo into a wireless one and lets you enjoy calls and music hands free. This small size device has an inbuilt mic for making calls effortlessly. There are no software installation hassles for using this product as very easy to use. Now, don’t let the wires interfere with your entertainment.